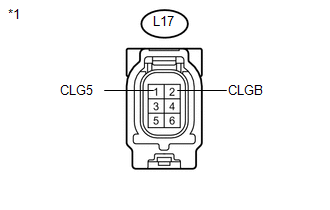 When the back door entry lock and unlock functions do not operate, one of the following may be malfunctioning: 1) power door lock control system; 2) outside electrical key oscillator (for rear side); 3) certification ECU (smart key ECU assembly), or 4) back door opener switch assembly. 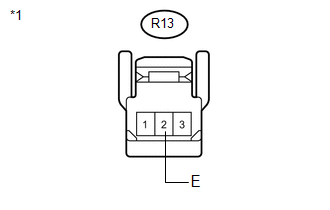 (a) Bring the key near the outside electrical key oscillator (for rear side), and perform an entry back door open and entry lock functions check. 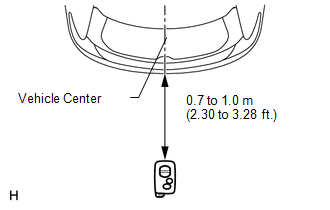 When the key is brought near the outside electrical key oscillator (for rear side), the possibility of wave interference decreases, and it can be determined if wave interference is causing the problem symptom. If the operation is normal, the possibility of wave interference is high. Also, added vehicle components may cause wave interference. If installed, remove them and perform the operation. 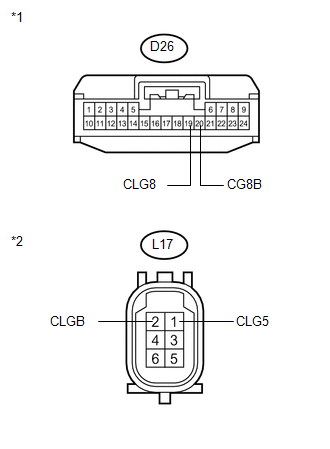 (4) Enter the following menus: Body Electrical / Smart Key / Key Communication Check / Overhead + Back Door. 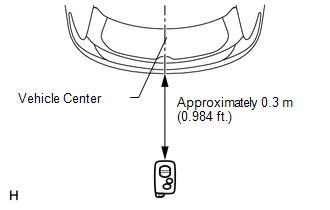 If the buzzer sounds, it can be determined that the outside electrical key oscillator (for rear side) is operating normally. 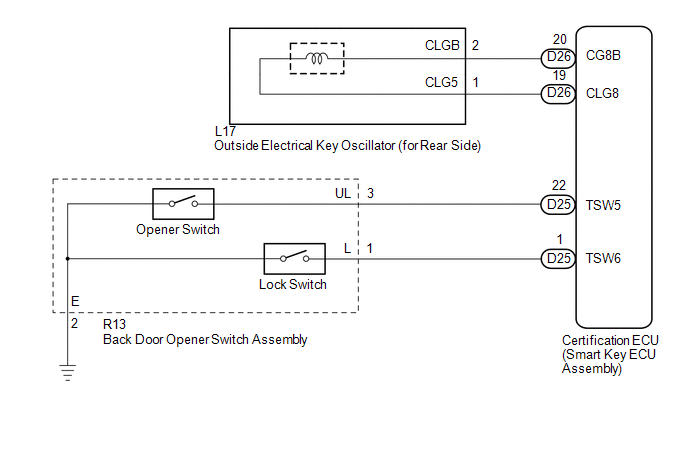 (a) Disconnect the back door opener switch assembly connector.